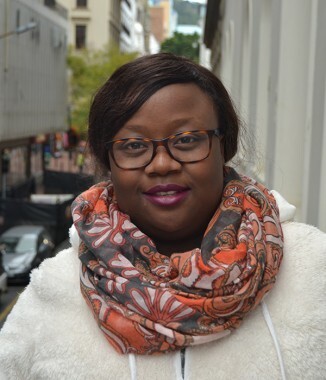 From Stellenbosch University, Josephine Comfort Mukwendi joined Sonke in March 2013 as the International Programmes and Networks Projects and Administrative Assistant. Josephine first joined Sonke as an intern in February 2011 where she worked in the Communications & Strategic Information Unit assisting on the Red Card Campaign evaluation. Before joining Sonke, Josephine worked for the Treatment Action Campaign from 2012 – 2013. Josephine has also worked for the South African Medical Research Council as a field researcher specialist in the HIV migrant women survey project. She completed a BSs (Honours) Psychology at the Women’s University in Africa-Zimbabwe in 2012, and a Postgraduate Diploma in HIV and AIDS Management at the University of Stellenbosch. Josephine currently holds a Masters degree in HIV and AIDS Management at Stellenbosch University. Her research focused on HIV and AIDS programmes and interventions in relation to widows in poor rural communities. There are a lot of gender misconceptions and myths surrounding widowhood and issues of HIV and AIDS and the research will strive to reflect more on the subject and policies surrounding property and human rights of widows in selected parts of Southern Africa. In 2002, Josephine worked with Manhinga Orphanage in Juliasdale, Zimbabwe assisting the organization by offering psychological support services to orphans and vulnerable children. Josephine joined Sonke because of her passion of working with men for the empowerment of women and girls for gender just societies.